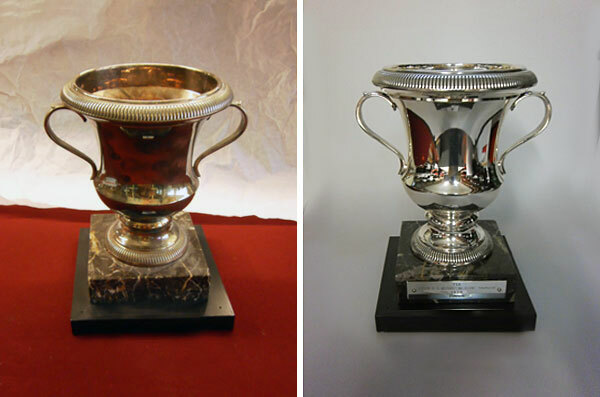 Trophies made out of nonferrous metals like brass, copper, bronze etc. 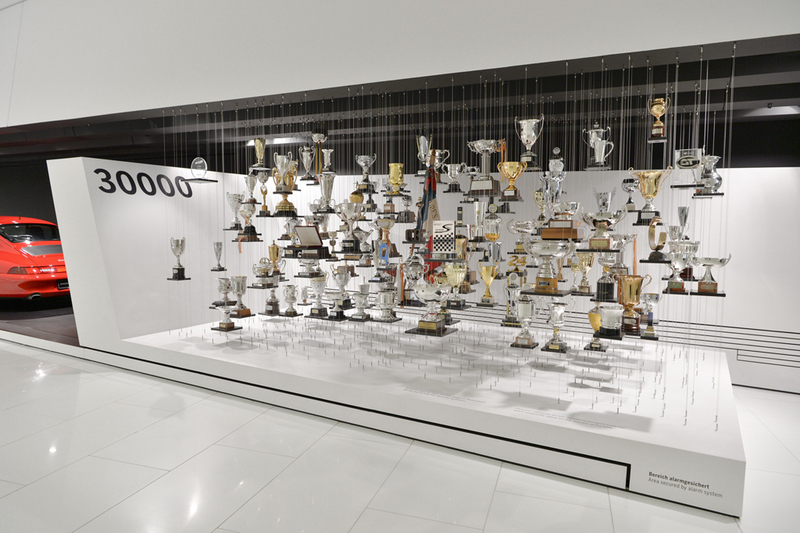 or made of sterling silver or with an silver plated surface are represented in many showcases of sports clubs, museums of car manufacturers but also in private households. 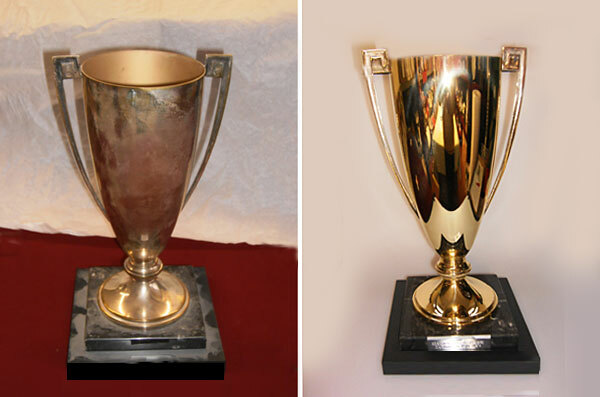 These items tend to tarnish and lock unsightly over the years. 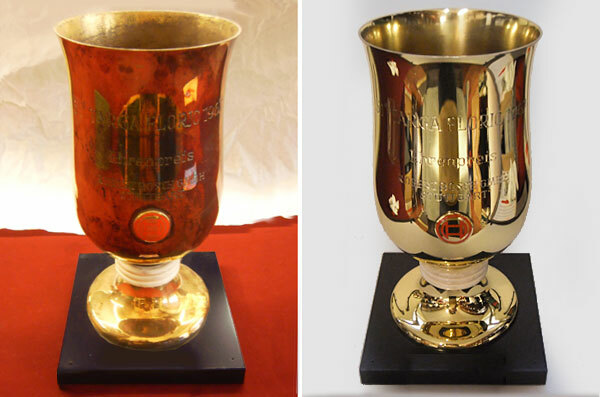 Cleaning by hand doesn´t help much because oxidation starts at once again. 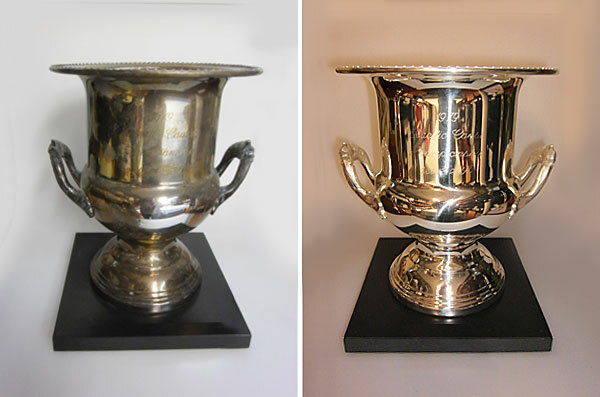 Our specialty is to polish trophies to a brilliant high shining, cleaning it carefully afterwards with ultrasonic and lacquer it with transparent lacquer that results in getting back the original look and keep it forever. No need for laboriously cleaning – just dust off !